A number of reasons have been suggested for this, including silo user export business growth driven by the low value of the pound, concerns about supply chain security and greater stock holding to take advantage of lower spot buying prices. In order to get a more balanced view from across the industry a number of organisations including silo users, raw material suppliers, trade associations and plastics media were contacted by Barton for their input. Feedback received, which is in stark contrast to doom mongering reports about the impact of Brexit on manufacturing, spans a range of industries with growth being experienced across the packaging, automotive, general industrial and consumer plastic product markets. To establish the truth behind the headlines, Barton Fabs spoke to 14 companies and organisations asking them for their view on demand for silo storage and the state of the market. “The need for increased silo capacity is an obvious end result of growing customer product sales. This was reported at both the bulk and smaller sack supply ends of the raw material supply market suggesting that the whole industry is buoyant, not just the bulk end. “With regards to shifting from sack to silo storage, there are several benefits. Payback periods can be as low as 12 months or less, there are site space saving advantages, improved safety from reduced manual handling and lower labour costs. Some of the other less frequently mentioned reasons for the growth in silo capacity included: increased buying from non-European sources necessitating larger UK stockholding, production of larger moulded products which, due to shipping costs, favours UK manufacture, economics in the recycling side of the industry which triggers consolidation to larger operators who benefit from bulk material handling efficiencies and the capability to spot buy at more favourable prices when the market has seen significant recent price volatility. Barton Fabrications concludes that it is very encouraged by the feedback received that reflects a buoyant plastics industry. The increased demand for polymer raw material storage silos is not only driven by strong UK demand for plastic products, but also by user concerns about supply chain security over the last few years. In addition, companies are currently investing in storage silos in order to improve their operational efficiency, safety and reduce costs. 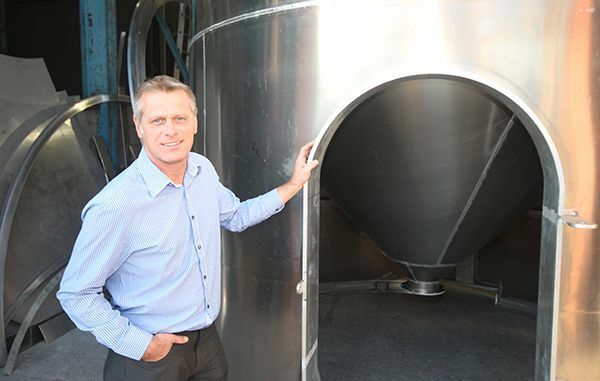 The factors behind the trend for increased storage capacity appear to be ongoing and Barton Fabrications is optimistic for a continued high level of demand for silo storage vessels.